AMPLIFY YOUR INVESTMENT OPPORTUNITY IS ABOUT TIMING. Downtown Orlando is on the rise. 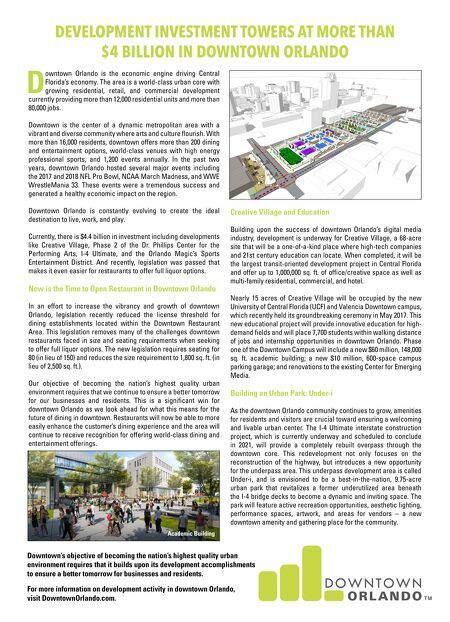 Development is underway for Creative Village, a 68-acre site that will be a one-of-a-kind place where high-tech companies and 21st century education can locate. 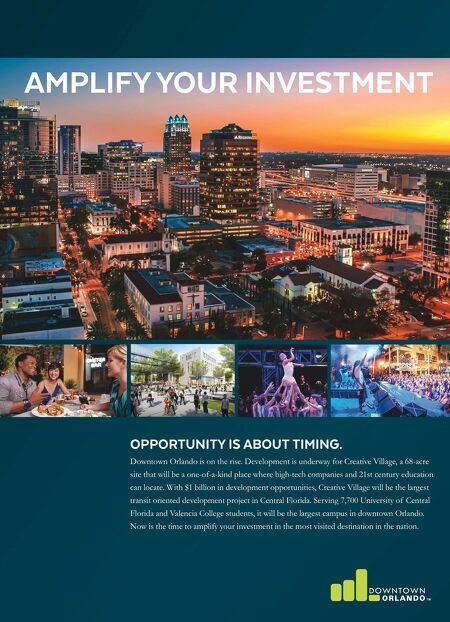 With $1 billion in development opportunities, Creative Village will be the largest transit oriented development project in Central Florida. Serving 7,700 University of Central Florida and Valencia College students, it will be the largest campus in downtown Orlando. Now is the time to amplify your investment in the most visited destination in the nation.